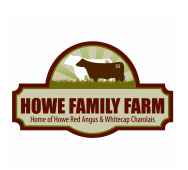 The Howe Family run two purebred herds. We had 120 purebred Charolais cows. We started in the Charolais business in 1968 and have been active in the breed ever since. We have over 45 years of breeding invested in our program focusing on sound cows that produce quality bulls to last. n 1984 we seen the need for hybrid vigor from our commercial customer’s and began to build a Red Angus cow herd. 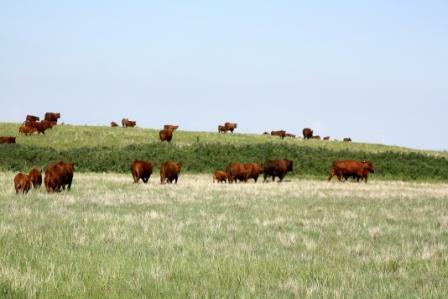 Our Red Angus cow numbers have grown to 180 cows. These cows are selected on the exact same criteria as our Charolais cows. 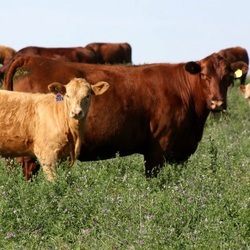 We have strived to put together a set of very low maintenance Red Angus Cows. We have sent genetics to South America, Australia, Mexico, the United States as well as many places throughout Canada. We have a great deal of bulls in the seed stock industry as well as hundred of bulls working in the commercial industry.